This compilation of the Top Boarding schools in India 2019 is for all concerned parents who wish to provide their children with the best boarding education that shapes and nurtures them holistically and academically. These top residential schools in India 2016 are known for their high academic standards, modern facilities and hospitality. So without the slightest doubt, click and discover all the information you may need about these schools and prepare for admission right away. Billabong high school is a leading school in Mumbai, helping students to become sucessful entrepeneurs in their life. 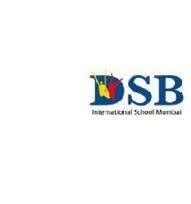 Delhi public school isa prominent school, affiliated to Central Board of Secondary Education(CBSE). D A V Public School provides world-class education system developing brighter intellectuals. D A V School Bangalore is a finest institution, developing successful personalities in Corporate world. Deens School is a well-known institute, shaping and nuturing young minds. Euro School was established in the year 2001. Ebenezer International School is an outstanding institution, enabling students to excel in educational sectors. Edify school is one of the reputed institution which is situated in the state of Karnataka.